We're making things a bit more casual this year and going country at Diamondback Saloon! 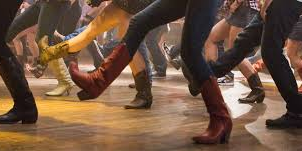 Ever wanted to learn how to line dance? Ever wanted to hit up a dive bar closer than Detroit? Ever wanted to pretend you lived in a different time? Ever wanted to pull your cowboy boots out from the costume closet? We are taking things down a notch for 'formal' this year and will be heading to Diamondback Saloon, just a 15 minute ride from campus, for a Barn Dance. We will have line dancing lessons, country music, a DJ and dancing! This event is intended for ALL audiences and hope you will join us! Questions about what to wear? Whatever you feel comfortable in - your favorite dress, plaid shirt and cowboy boots, your best blazer - you can't go wrong! Drinks, late night food, transportation and line dancing lessons are included. Yee-haw!